Ask just about any midwife in Haiti how their career began and most likely they will tell you it started with a dream. These extremely hard working women feel individually called by God to help Haiti's most vulnerable – pregnant moms and their babies. 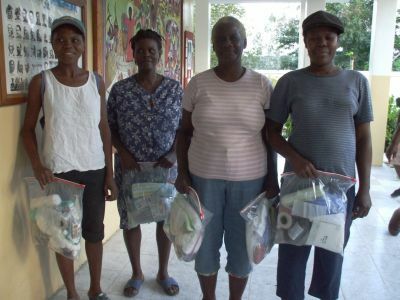 We strive to support their heroic efforts and to decrease the infant & maternal mortality rates in Latiboliere. 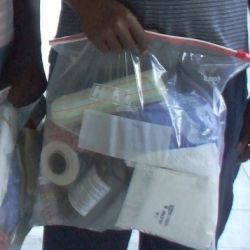 In addition to prayerful support, we send very basic supplies to replenish their midwife's kits. We also provided money for medical/professional training and certification for all of the midwives. "The state of the children in the country is related to its maternal mortality rate... We have seen that if a mother dies, the child is unlikely to make it to his or her first birthday." Haiti has the highest rate of mortality for children younger than 5 years in the Americas. Pregnant women are so grateful for the basic services and supplies listed below. Money to pay the midwives as they often receive no compensation for their services and to pay for their education and to purchase supplies. Water and Sanitation Help, Nutritional support, Education Initiatives, Health Initiative, Soccer Initiative, Collections, packing and shipment of Sea Containers, and Mission Teams to Haiti.